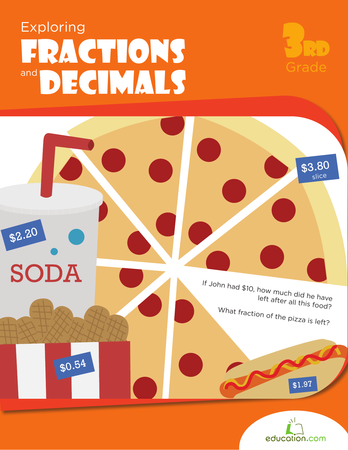 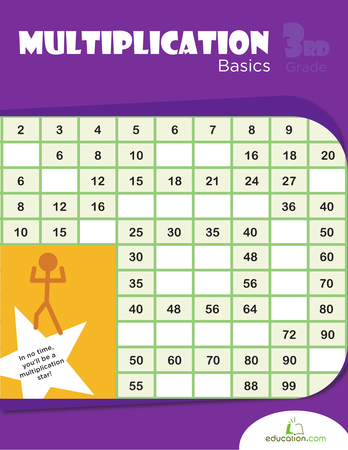 Help your third grader understand fraction basics with this worksheet. 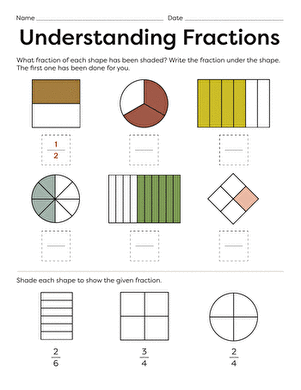 Each shape is divided into sections, and some of them are shaded. 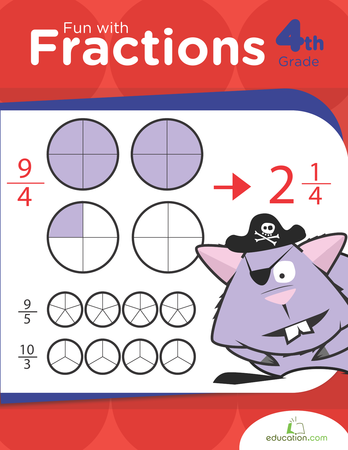 Can she figure out what fraction the shaded portions represent? 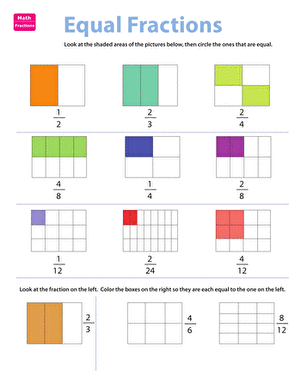 Does your child know that 1/2 is the same as 2/4 and 3/6? 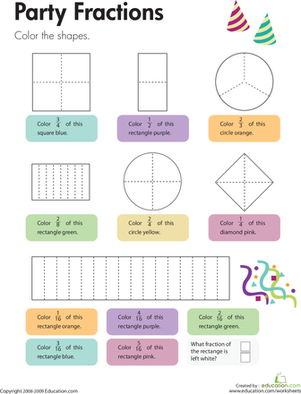 Kids practise identifying equivalent fractions on this colorful worksheet.